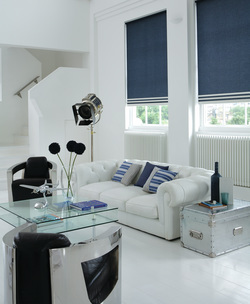 Holme Blinds is a Wirral based company that offers high quality Blinds and window treatments that are bespoke to you. With over 15 years experience in the industry, company owner Paul Holme has been supplying Blinds and window solutions to both domestic and commercial customers, across the Wirral, Chester, Ellesmere Port, Wallasey and surrounding areas. The companies ethos is simple, to supply you, the customer with not just high quality window Blind and Solar solutions but also provide an individual and professional service from start to finish. Blinds are brilliantly versatile, able to control sunlight and improve the thermal efficiency of your windows. ﻿At Wirral based Holme Blinds this versatility extends across our whole business. With a huge level of expertise and knowledge built up over many years we are here to offer you the help you need in the bespoke design of the very best window and solar solutions to perfectly suit your needs. ﻿If it's a traditional, classic look your after then Holme Blinds has a wide range of designs, fabrics and colours to choose from to suit your needs. We pride ourselves on supplying the highest quality products, service and expertise matching this with our best price promise. With hundreds of fabrics, colours and contemporary designs, Holme Blinds will help you find that perfect, bespoke finish to your window.